PHOTO: Radames Martinez Aponte, Dominican Republic vice minister of tourism. Photo by Brian Major. Encouraged by its rapid growth from an under-the-radar warm-weather destination to what is today the Caribbean’s leader in tourist arrivals, the Dominican Republic is pushing forward with dramatic, government-propelled initiatives to further develop its tourism infrastructure and attractions to expand the country’s appeal to international travelers. The destination’s impetus to capitalize on its already impressive tourism development was easy to recognize Thursday at the Dominican Annual Travel Exchange (DATE) conference at the Paradisus Palma Real resort in the country’s Punta Cana resort district. Officials here celebrated the strong arrival numbers posted in 2013 and spoke of the variety of programs, both public and private, on which tourism stakeholders have embarked in an effort to extend the destination’s success. Travelers from the United States represent the country’s largest source market, said Martinez, accounting for 1.6 million travelers last year, or 40 percent of the country’s visitor contingent. Yet despite this success, the country is increasing its programs to support tourism growth, inaugurating new tax incentives to support tourism development. In December Danilo Medina, the Dominican Republic’s president, enacted a tax incentive law that among other measures provides a 15-year tax exemption to companies engaged in tourism developments including hotels, attractions and tourist-related activities. The law also offers tax incentives to existing hotels and resorts that have been in operation for at least five years. In addition, a 100 percent tax exemption is also now available to hotels and resorts “in existing structures with a minimum of 15 years” that undertake remodeling or reconstruction of more than 50 percent of their facilities. Medina mentioned earlier this year the country has set a target of 10 million annual tourists within the decade. 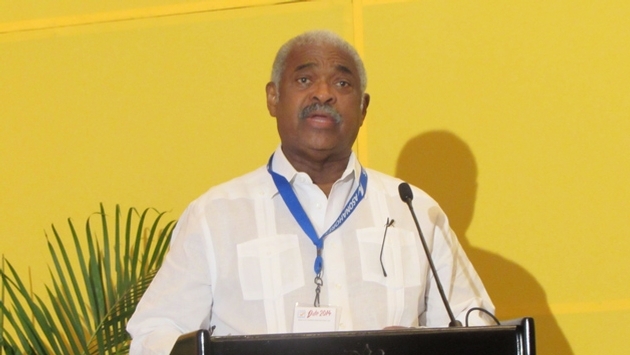 Martinez also cited the recent completion of a major highway that connects the Dominican capital of Santo Domingo with the eastern tourist district of Punta Cana as a key to the country’s tourism development. The highway cuts the transportation time between the regions from more than four hours to two hours. Santo Domingo’s historic Colonial Zone is itself in the midst of a redevelopment program directed by the country’s tourism ministry with support from the Inter-American Development Bank. The project includes underground placement of utility lines, street repaving, traffic-calming measures and the reconstruction of the facades of the district’s historic buildings and monuments. The country is also anticipating the 2015 opening of Carnival Cruise Lines’ $65 million Amber Cove cruise port near the Puerto Plata resort area. The port will accommodate two 4,000-passenger vessels, and while Carnival ships have preference with regard to docking, the port will be open to all cruise ships. Mostly popular with tourists from Europe and from within the Dominican Republic, Martinez said Puerto Plata is one of several regions within the Dominican Republic, including Samana, Cabarete and Sosua, that will receive an influx of new tourists in the coming years.